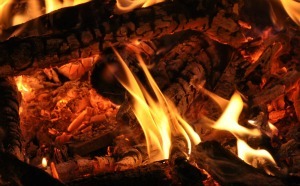 Winter is coming and with the cold comes an increased danger of fire. Sooty chimneys, supplemental heaters, and holiday decorations all pose a threat as we try to keep our homes warm and inviting over the next few months. If tragedy strikes and your home is damaged by fire, it is time to look for the best fire damage restoration contractor who can work with you in returning your home back to normal. But how do you find the right professional? Yes, you want someone who is affordable, but when your home is ruined, you also want peace of mind knowing you won’t need additional work further on down the line due to inferior craftsmanship or unplanned cost overruns. With the vast selection of home damage restoration professionals in your area, it is best to follow these few tips in picking the best residential restoration company. Word of mouth remains one of the best ways to locate quality repair professionals. Websites can look great and commercials might look flashy, but nothing speaks the truth like a personal recommendation. Chances are, if you are going through a home destruction project, friends or family in the area have been forced to deal with the same issue beforehand. Ask these individuals who they worked with and if they would recommend them. Additionally, you can check out the National Association of the Remodeling Industry online and look up what repair professionals are in the area. If you don’t know anyone who has gone through what you are in the area, talking with home inspectors or your insurance company can prove helpful as well. These professionals know which contractors regularly meet code requirements. A little digging can go a long way in ensuring you are hiring a high-quality company. After you have worked down the list of potential contractors to a small handful, it is time to give each a call. It is best to talk to them over the phone or ask for a visit. This way, you can have a back and forth and receive direct answers to your questions. Some important questions include if they, in fact, perform restorations (some contractors only work on new jobs), whether they can provide a list of referrals and previous clients, and how many jobs they able take on at once. The last question is important because you don’t want the repair job to take longer than necessary. Depending on the damage to your home, you might not even be able to live inside of it until the repairs are finished, so the more time they spend repairing your house the better. Another important question to ask is if the contractor has worked with your insurance company before. When your home is damaged, you will want a team that works well together and fully understands the process of claims, adjusters, and repairs. After contacting the professionals and meeting them face-to-face, contact previous clients to ask not only about the quality of the work but if the contracting company also treated the property and you respectfully. Once you are satisfied with these answers, you should have a very good idea who is the best residential fire damage restoration company for you. From flood restoration and water damage restoration to general home damage restoration, Sands can help. Call our home restoration experts.